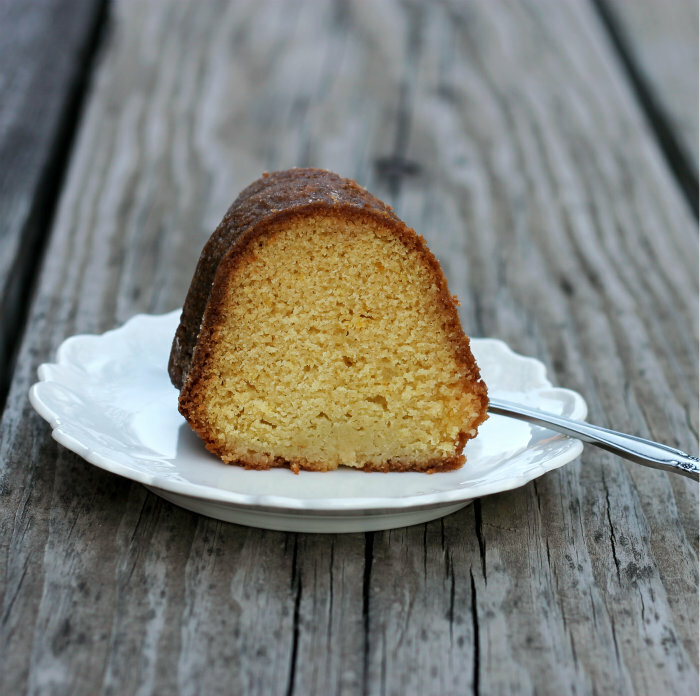 Citrus bundt cake… can brighten up the dreariest day. After last week’s beautiful spring weather, this week has been cold and dreary. We even saw some snow in the early part of the week. I was back to wearing gloves and winter clothes for the week. Will it ever stop coming? 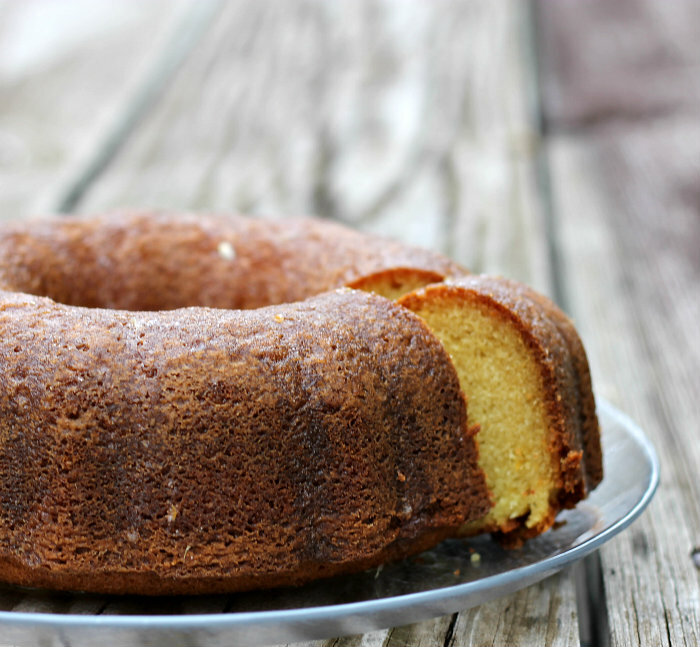 This citrus bundt cake actually brightened up the week a bit. I love the taste of citrus just about as much as I do chocolate. Oh wow, did I actually say that?!? That says a lot coming from an over the top chocolate lover. But seriously I love the taste of citrus in this cake, it is light and refreshing. I actually found the recipe sitting in my recipe box, I haven’t made it for years. And actually the recipe that I found was not a recipe for a cake it was for a quick bread. 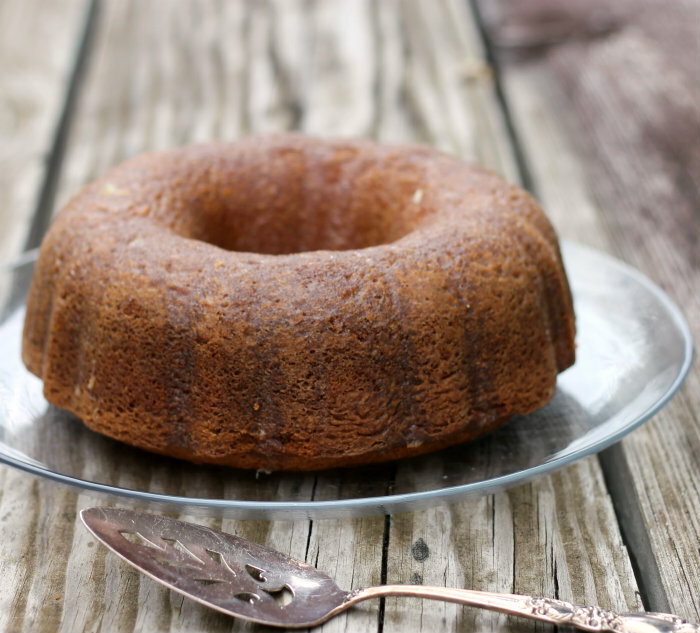 I decided to make changes so that I could make a bundt cake. The cake is dense, but not heavy and as time goes on it gets moister. There is a syrup that is made from the juice of the lemon and orange. Which is poured over the cake a few minutes after the cake comes out of the oven. The syrup forms almost a crust over the cake, which is totally yummy. The lovely yellow color makes you think that spring will eventually be here to stay. Preheat oven to 350 degree F. Grease and flour a bundt cake pan. In a large bowl combine the sugar and zest from the lemon and orange. With your fingers rub the zest and the sugar together to release the flavors of the zest. Add the butter to the sugar and zest and beat until light and fluffy. Add the eggs one at a time beating until well blended between each egg. In a medium bowl combine the flour, baking powder, and salt and add to the sugar mixture beat until well blended. Add the cream and mix until all is blended. Pour the cake batter into the prepared bundt pan. Place the cake into the preheated oven. Bake for about 50 minutes or until a toothpick comes out clean. 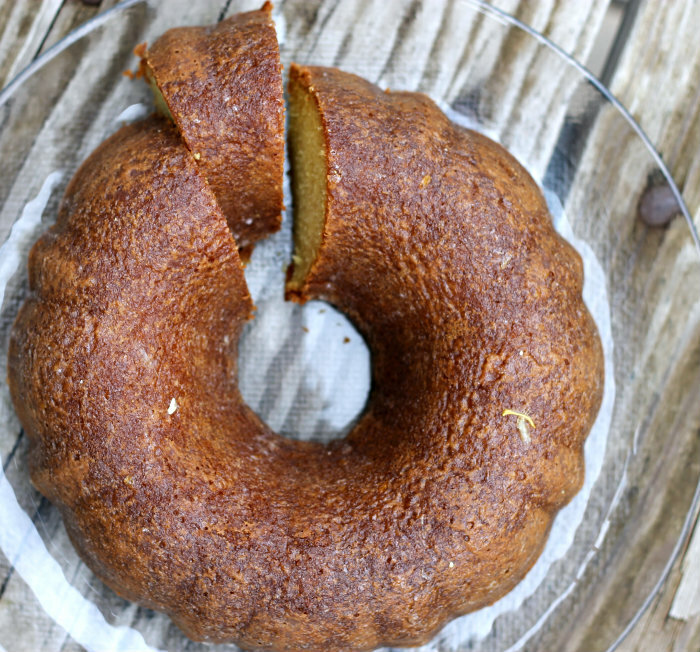 Remove from oven let the cake cool for 5 minutes, after the 5 minutes remove from bundt pan. While the cake is cooling combine the juice from the lemon and orange, add 1/3 cup sugar. Mix until the sugar dissolves in the juice. After the cake is removed from the bundt pan pour the juice mixture over the top of the cake. Cool completely. I NEED a slice now. The cake looks beautifully done, Dawn. Citrus sweets never fail to brighten up my day! Love the sound of this.